Problems by such content can translate into content unavailability or loss of functionality, and users associate the problem with the website and the brand – not with the third-party that actually caused it. At Catchpoint we believe that monitoring such content and having SLAs with your partners or vendors is key to ensuring excellent performance, however we have come to believe that monitoring alone is not sufficient in solving the problem. There has been a better way to manage such content, and mitigate the risks associated with it – without having to drop the partner/vendor (especially when it provides value like revenue or marketing services). 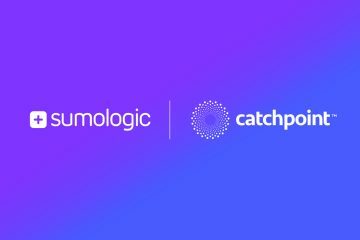 We have been looking at the issue since we started Catchpoint in 2008, and finally we had some time to implement one of the ideas and build a product around it. Today we are launching the product, Outclip, in private Beta, free of charge to a limited number of companies in order to gather feedback before launching to everyone. Manage third party tags from a central location. It gives you the ability to modify the tags on a single interface, rather than modifying pages, templates, code. You can also deactivate/activate a third party as needed. Optimize the rendering of the tags so that it improves the performance of the website content. The solution helps in decreasing three key metrics Render Start, DOM Load, and Document Complete. It achieves these benefits by loading the content post document complete (or when the onload event). Mitigate the risks associated with poor performance of third party content. By not having the external script tag on the HTML, and loading them once the document loading has completed – any performance issues that the party is experiencing is not going to impact your webpage. Passing correct referrer information to the third party (which is important to advertisements and analytics). Keeping the ability to pass dynamic information to the third party (key-values). Being able to deliver any advertisements as without Outclip. I’m curious about one point : how did you solved the always problematic ads that use document.write to display themselves ? the site owner has to plan a blank space where an iframe is dynamically created ?